It’s easy to imagine the perplexity of archaeologists when they discover an unknown or incomplete item. What could it be used for? If you already played our "Whazzat thing" game, you realize that it requires intuition, thorough knowledge and some erudition. On the face of it, even the all-knowing Google will not help you a lot, for playing our "Whazzat thing" game ! In many cases, knowledge was insufficient at the time of the discovery, but improved since and came to question former interpretations. When Sir Arthur Evans excavated the Minoan palace of Knossos, he discovered some fragments of frescoes (below, parts with a white outline), and saw there a young man harvesting saffron. As knowledge and analysis methods progress, we often have to revise an artefact’s dating, origin, or to reconsider its authenticity. The archeologist’s job therefore requires, in addition, much caution and humility. But after all, isn’t it the same for each of us? Mustn’t we be able to reconsider even our certainties? Ancient philosophers already told us so 2000 years ago. Then came the time of doctrines. And precisely now, when some people’s convictions lead to massacres, those ancient authors disappear from the french highschool program. What a pity ! Read all our former News memos on our page "Fellowship" -> Newsletter ! A 3D image of Cleopatra's nose ? In our may issue, we observed that museums display few ancient coins, though they often have rich collections. Is this because visitors pay little attention to them? That’s what thought the Saint-Raymond Museum in Toulouse : with its customary dynamism, it recently set up a presentation that could change things. Noting that visitors quickly forsook the numismatics showcase when they entered the room, and watched the marble portrait gallery, the museum wished to draw attention to the fact that roman coins are also portraits. It recently set up, in one of its showcases, a computer application that makes the coins more visible and highlights their interesting features. On the touch screen, visitors can scroll through the coins, zoom in and display details. Then, three marble busts were modeled. On the screen, visitors can handle their 3D-picture and read further information. Moreover, they can match them with the portrait that appears on coins, in order to superimpose both profiles. This project gathered together with the Saint-Raymond Museum, the skills of IMA Solutions (digitisation), Tataragne interactive (development) and Emilie Cazin Design (showcase design). Pictures © Emilie Cazin Design. This strongly increases the showcase’s interest: we can appreciate the similarity between the character’s profiles, and we immediately understand how Roman coins, which also show the figure’s name, can be used to identify a previously anonymous bust. A very attractive task for the detective that lies dormant in each of us. 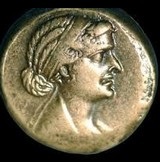 We all saw documentaries telling that we have almost no portrait of the famous queen Cleopatra, with the exception of a bust in Berlin, some Egyptian representations which are not real portraits and a few coins. 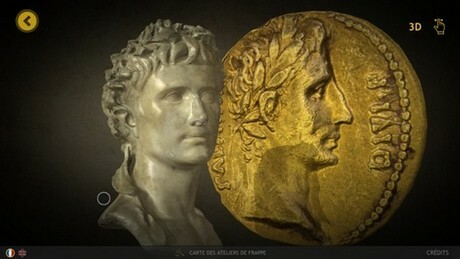 It’s easy to get a "medal profile" by processing a 3D model’s data, but is it possible, conversely, to process the picture of an ancient coin – a well-known figure – to produce a 3D bust? Yes, at least to some extent, because this process requires to add some missing data. In particular, the ancient currency represents only the character’s profile, and never front views. We know how to manipulate faces – i.e. to represent that of a mummy from his skull - but the accuracy barely exceeds that of a good identikit. Which is not bad. Getting your 3D portrait ? 3D printers are now widespread and you can get a statuette, an “ancient” coin or a bust of yourself, like a Roman emperor ! In 2013, in Toulouse (once more), Digiteyezer set up the first french "3D photo booth". Today, several companies offer you the opportunity to get your statue, bust or figurine. Interactive map of Etruscan archaeological sites and Museums. 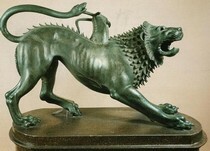 Do you know the Etruscans? You may think that our Western culture rests essentially on the contribution of Greece and Rome. You would then forget the essential role played by Etruscans in the transmission of ancient knowledge as well as their contribution to Roman culture. By the way, what do you know about them? Whazzat thing nr 22 ! 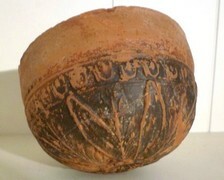 Collectors call this nice Greek bowl using the name of a city ... where it does not come from! It is neither Athenian, nor Corinthian, it is... what exactly ? Follow our "ancient worlds diary". See you soon on our pages! Any comment and suggestion are welcome! Receive our News Memos !